Yesterday afternoon, I finished Gemini, the final book in the House of Niccolò series, by Dorothy Dunnett. It feels like an accomplishment, something to celebrate, something to share with friends. It wouldn’t be completely out of the question to throw myself a small party, in fact. After all, this was a series of eight hefty books, ranging from about 450 pages to about 680, and linked to her other series, the Lymond Chronicles, another six books. But it was never a chore. Dorothy Dunnett, along with Patrick O’Brian, is the best writer of historical fiction I’ve ever encountered. She made the Renaissance come alive: sound, scent, fabric, stone, and most of all, people, from rulers to stonemasons, from wet-nurses to eunuchs, from doctors to killers. 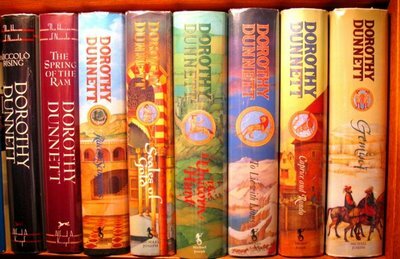 I read the last two hundred pages of Gemini with speed and urgency, but also with sadness: I’ve now read all of Dorothy Dunnett’s novels. There will never be a new Dunnett for me, teeming with life and with people I grow to know and, eventually, love. I haven’t reviewed each of the books in this magnificent, complex, intricate historical series as I’ve read them, partly because I wanted to see how the whole story arc turned out before I formed a complete opinion of it, and partly because I was too eager to get to the next novel to write a review of the last one. 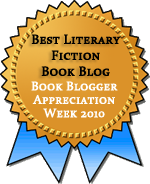 Over the next week or so, however, I plan to write short reviews of each novel in the series. This is a placeholder, a brief introduction to the House of Niccolò and to Dunnett, one of my favorite authors. If you haven’t been lucky enough to read her yet, you’re still luckier than I am, in a way: you have all of her novels still to read.